It´s an old corvette with 18x 12 pounder cannons and 6x 9pounder cannons. I love ships! One of the reasons there's an anchor tattooed on my arm! Thanks really much. 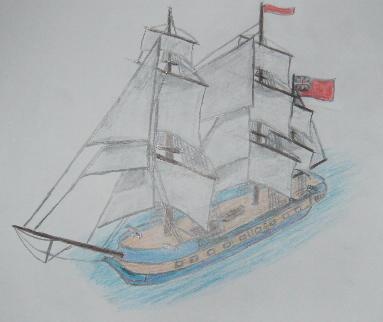 I love the sailing ships of the 16th,17th, 18th and 19th century.